We hope that you had a relaxing holiday weekend! But if you’re like us and need a bit of recovery in order to keep the party going (after all, it’s basically summer at this point! ), then we’ve got you covered. After a crazy night or weekend out, Bed and Breakfast Man is the perfect “hair of the dog” to help revive you. Although it’s always best to salt the side of the glass instead of the rim (see below), don’t worry about that here: it’s nice when a bit of salt falls into the drink while you’re climbing back into bed. You can use a lighter beer like Modelo, but Victoria, another Mexican beer, has a bit more body to enjoy with that recovery breakfast. In a cocktail shaker, muddle a cucumber. Add the mezcals, lime juice, simple syrup, and some ice. Vigorously shake the contents until cold and well blended. Salt a pint glass with the chile salt. Double-strain into the glass over ice. 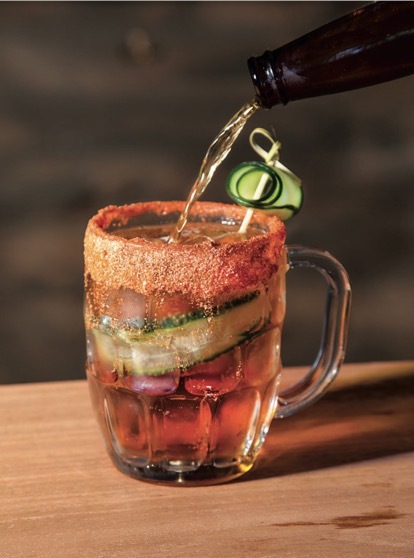 Top with beer, garnish with sliced cucumber, and serve. If you’ve ever been to a coffee shop that offered a clear, sweet liquid to add to your iced coffee instead of granulated sugar, that’s simple syrup. And as its name suggests, it’s very simple to make. Just add sugar to an equal amount of boiling water, stir to dissolve, then let it cool. It’s perfect for adding a touch of sweetness to cocktails (and that iced coffee, too!). Garnishes are supposed to complement your drink- not end up in it. The same goes for salt. Salt the sides of your glass instead of the rim to make sure none falls into your cocktail. Here’s how: Get two saucers and pour lime juice in one and salt into the other (Non-iodized, aka Kosher salt, works best). Dip the side of your glass into the juice, then the salt. Wipe the excess salt off the lip (top) of the glass. Then hold the glass upside down and gently shake it to get rid of the excess salt. Now you’re ready to pour your drink. 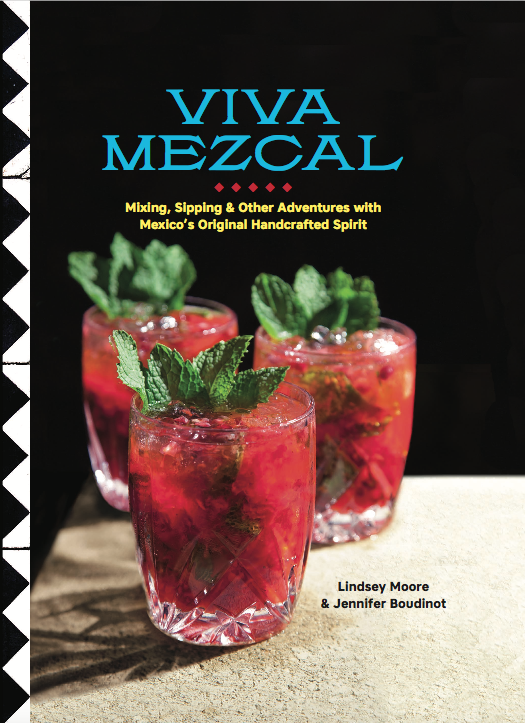 For more delicious mezcal recipes, check out Viva Mezcal on Amazon now!